Lita has officially returned to blogging after a two week break of R + R we all need it at times. I hope everyone had a amazing Christmas, chomping on divine roast dinners, hot cocoa by the fire and tearing through all the presents to find anime related things only. Since I had a chance to look through other people’s posts a lot of them going through their favorite anime moments in 2015 and a blog reflection. Keeping up with everyone else I will be doing both, in this entry I will be talking about what anime moments & highlights I had in 2015. This will relate to anime that I had seen, manga I read and other anime related things. Whoooo, Christmas is only five days away my friends, hard to believe it has come around so quickly it’s crazy. I bring you all a Christmas special post where I will be talking about some magical anime you should all sit down and watch these holidays. It’s hard for it for me to feel like it is Christmas as I know for most places in the world it is winter cold, freezing but where I currently reside in Australia it is Summer. So a boiling hot Christmas is what I always have now which may sound strange to many as I do miss the cold winter’s, being by the fire, having hot chocolate and wearing Jumpers. Oh the difference talking about it now just sounds insane now haha but anime has always reminded me of those cold winter Christmas years before I moved countries which is what inspired me to write this post. 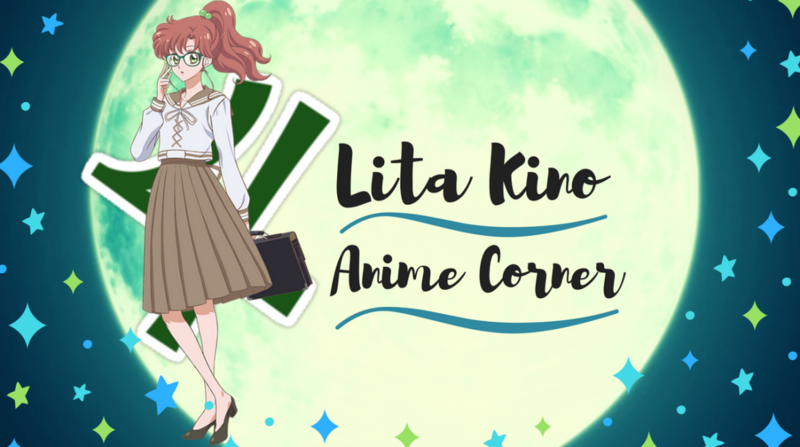 It’s been a long time since I did a anime review and it’s not a Sunday. Well that is for another important post for me to write up for next time but I’m back with a cracker of an anime I most recently just finished watching. I picked up this series a while back because it was rather cheap and was underrated I kept hearing about, haha indeed this series was my calling to watch. As Lita reviews the Insane, exciting Deadman Wonderland. Get up off that thing !!! A Merry early Christmas to you all and once again life has stopped me from posting anything but I will tell about that in another post some set in stone changes for my blog and other things but this post we will be talking about a crucial thing OPENING THEMES!!! It’s been a while since there has been a Friday feature so yes it’s late and mostly likely will be late during December. I don’t really know where my head has been this week, just not felt up to doing much so result blogging has been lacking. Mostly I feel tired and frustrated for this week hence why I always post a image each feature to express how I have felt each week. I feel there will be changes to my blog again as the new year creeps up slowly but I’ll leave that for now on with the main feature.